Once again we pick up a character from Supermassive Games Until Dawn! This psycho killer Halloween tutorial will transform you into one very nasty killer or..is he/she a killer? Go check her creations out! Nikon D810, Nikon D5500, Nikon 105mm f/2.8 Micro VR, Sigma 18-35 f/1.8 ART, Carl Zeiss 85mm f/1.4 Otus, iPhone 5s, Final Cut Pro X, Pro Tools, Apple Macbook Pro 15″ Retina. 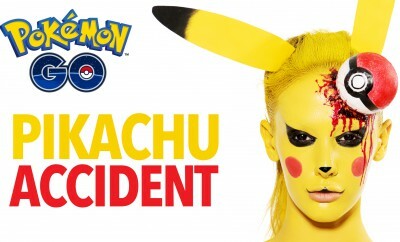 Pokémon GO accident – Pikachu head injury! why i feel like mac sound angry? Haha might have been tired hehe. I'm doing this mask for a cosplay with my friends! What kind of wig did you use? Could you send me a link! It would help me so much! Thank you! Love your tutorial! This makes me so happy❤ Thank you! Where did you Get that plastic clay? What was used to make the teeth?? Where can you get the stuff??? 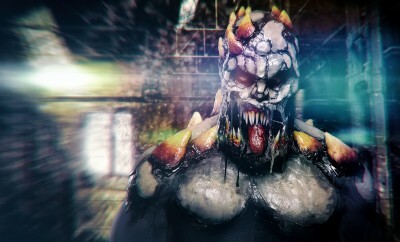 have you ever done anything from Resident Evil?? so many options, Nemesis, zombies, a tyrant etc. even a pure mutation like Lisa Trevor. Is it just me or does elli look like ellie goulding? Your into should be Psycho Killer by The Talking Heads. It just fits the character so well. How do you take it off? Does it stick? +Maddy Mathrick :-D Whoop! go team Ellimacs! Unitl dawn IS the BEST GAME ever! Your makeups are amazing guys you're incredible !